“The Asantehene, Otumfuo Osei Tutu II, on Tuesday evening, left celebrants at the Manhyia Palace Gardens in a mixed moment of tears and joy, when he singled out his beautiful wife, Lady Julia Osei Tutu, as his strongest source of inspiration who keeps him going in difficult moments… Responding to a toast by one of Ghana’s leading businessmen and former Chief Executive Officer of AngloGold, Sir Sam Jonah, Otumfuo noted: “I hear lots of comments about me. “Some say I am even a politician. I want to make it clear that, as King of Asante, I have a responsibility of making sure that every government succeeds. I need development for Asanteman, and for Ghana at large. During President Rawlings’ time, I was accused of being in bed with him. During President Kufuor’s time, people said Kufuor was ruling Ghana from Manhyia. During the time of the late President Mills, a lot was said about my relationship with him. Now it’s President Mahama, and people are saying all kinds of things about me and him. I don’t care what anybody says. I don’t care if it is Ibrahim Mahama. All I know is that, as a King, it is my responsibility to ensure every government succeeds, so that my people can get development.” So is King Solomon really unworried about the said allegations and save the inspiration from his wife losing faith in the Sikagwa Kofi (the Golden Stool)- the heart-beat of Asanteman Council? The Asante Kingdom- and in the context of this commentary; the Sikagwa Kofi (the Golden Stool), as most history enthusiasts might whole-heartedly agree, is far older than the contemporary Ghanaian politics. Like most earlier ancient Akan Kingdoms such as Bono-Manso (1400s); Adansi Kingdom- consisting of Akyemmansa- Akyem Abuakwa, Akyem Kotoku and Akyem Bosome ( mid-14th century); Denkyera (1620); and Akwamu (16th or early 17th century), Asante, the last of the kingdoms, had had its own standing army and regime. Thus it was after the final onslaught in 1901, led by Nana Yaa Asantewaa- the Queen Mother of Ejisu that Asante effectively, came under Gold Coast’s politics. As AngloGold Ashanti  puts it on its website, much of the modern nation of Ghana was dominated from the late 17th through the late 19th century by a state known as Asante. “Asante was the largest and most powerful of a series of states formed in the forest region of southern Ghana by people known as the Akan. Among the factors leading the Akan to form states, perhaps the most important was that they were rich in gold. In the 15th and 16th centuries, gold-seeking traders came to Akan country not only from the great Songhay Empire (in the modern Republic of Mali) and the Hausa cities of northern Nigeria, but also from Europe.” Indeed to understand and appreciate the power and influence of Asanteman, the Golden Stool and its first Shepherd(s), these traditional facts must be underscored. The Kingdom of Asanteman proper; as our early-years school song reminds us, had five (5) separate states: Kokofu; Gwaben, Bekwai, Nsuta and Mampong. Besides the modern day Adanse, Asante-Akyem, Brong Ahafo (Western Asante), the second largest region of Ghana in terms of landmass with a territorial size of (39,557,O8sq.kms), was also part of the Asante Kingdom until 4th April 1959. It is said that among the Amanhene or Paramount Chiefs of Asanteman, the Asante King is the primus inter pares which means first among equals. 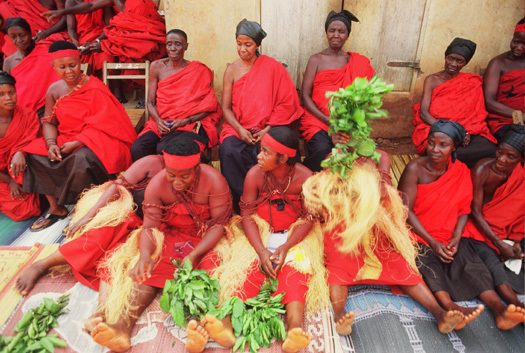 Thus theoretically, the Kumasehene is considered as being equal to Chiefs like the Mamponhene, Kumawuhene, Dwabenhene, Kokofuhene, Bekwaehene and Nsutahene. Baffour Ossei Akoto notes that the occupant of the Golden Stool has a dual capacity in the Union of Asante States. Thus apart from being the Asantehene, he is also the chief of Kumase and the head of the Kumase Division within the Asante Union of States. “In administering the day to day affairs of the Kumase divisional group the Asantehene consults his ministers who are known as Abrempong and are usually the leaders of various divisional groups within the Kumase Traditional Council. Some of them are Akyempemhene who is also the head of the Kyidom Fekuo (the rear group at war time); the Adontenhene – head of the main army (foot-soldiers); Manwerehene – head of the state guards, Kontihene who is also the Bantamahene and the No. 1 war general and Asafohene who is also No.2 war general.” So it might not be unjust to inquire when the 16th occupant of the Golden Stool, who was brought to world on 06 May 1950, by the late Nana Kwame Boakye, and the current Queeenmother- Nana Afia Serwaa Kobi Ampem, relies solely on the inspirational counsel of Akyemmansa Lady Julia. It is true that that the power, influence and the solidarity of the Asante Kingdom travails beyond its traditional jurisdiction and Ghana. Asante has the needed royalties, capacity and followers to construct ultra-modern airports, or traditional culture centres and when challenged, could even raise traditional standing or volunteering police and armies. So why should the king be so emotionally loner and miserable? Save; ailing-health or natural call to glory or deliberate affront to the culture and traditions of the Kingdom and the Sikagwa, his reign knows no political time-bound. He could rule until thy kingdom cometh. Yet it is worrying to the Kingdom and its history enthusiasts to learn that the king takes strong inspiration from the wife- for, the Akans have it that tikro 3nnko agyenna(two heads are better than one). The underlying principle of marriage institution holds that if a man leaves his parents to partners with his better-half, both of them become one body: in everything- in their triumphs and tribulations. Yes. Notwithstanding his considerable authority within the Asanteman Council, the occupant of the Sikagwa Kofi is not an autocratic ruler and could be expected not only to discuss matters of importance or sacred to the Golden Stool but also, could be seen seeking timely counsel, help and support, from any member of his federated august council in matters that drain heavily on his emotional wellbeing so as to be able to provide a focused leadership. The membership of the Asanteman Council composed of the Asantehene, who presides as Life President, the Paramount Chiefs from Asante, and probably, considerable parts of the chieftains in Bono-and-Ahafo, Eastern and the Volta Regions, not forgetting the senior chiefs of each of the Kumasi Clans. So why in these difficult times, the king’s strongest empathies are neither coming from the Council nor the Sikagwa Kofi- the embodiment of the kingdom? The last time we visited Dictionary.com  for the definition of inspiration, we came across this quote from an unknown author: “All scripture is given by inspiration of God (2 Tim. 3:16), and is profitable for doctrine, for reproof, for correction, for instruction in righteousness: that the man of God may be perfect, thoroughly furnished unto all good works.” Additional commentaries are that “extraordinary or supernatural divine influence vouchsafed to those who wrote the Holy Scriptures. This is true of all the “sacred writings,” not in the sense of their being works of genius or of supernatural insight, but as “theopneustic,” i.e., “breathed into by God” in such a sense that the writers were supernaturally guided to express exactly what God intended them to express as a revelation of his mind and will.” Inspiration also conveys expressions such as stimulation or arousal of the mind; feelings to special or unusual activity or creativity; the state or quality of being so stimulated or aroused. In general terms, it is something [a force or influence] that makes someone want to do something or that gives someone an idea about what to do or create. So what does it mean if the King says I don’t care what anybody says? Perhaps Otumfuor’s traditional power of delegation is suffering, hence: “During President Rawlings’ time, I was accused of being in bed with him. [In] President Kufuor’s time, people said Kufuor was ruling Ghana from Manhyia. During the time of the late President Mills, a lot was said about my relationship with him. Now it’s President Mahama, and people are saying all kinds of things about me and him. I don’t care what anybody says. I don’t care if it is Ibrahim Mahama. All I know is that, as a King, it is my responsibility to ensure every government succeeds, so that my people can get development.” By implication Nana Osei-Tutu Ababio, seems to care much about why he continues to be persistently, the target of ‘political poaching’ which unfamiliarly, appears not to be the case in respect to any of his Paramount or the vast majority of his distant traditional rulers across the country. In this political-divide, Otumfuor could have redeemed himself from these routine unsubstantiated fallouts or perceptions if he had not mounted the palanquin shoulder-high. More recently, he gave a brief history of how the founding-fathers and mothers built the Asante Kingdom with their own sweat- rejecting offers from the British colonial administration probably because of its divide-and-rule system of governance that knocked heads. How could the Ghanaian “rekindle that [ancient] pride in the building of the oman/kingdom and sustain it,” to the satisfaction of our contemporary traditional rulers and kingdom where national politics is looting our collective resources in the name of nationhood? Witting about Who Shepherds the Asante Kingdom: The King, Politics or the Golden Stool, reminds us of Sandy Simpson’s  commentary: “The Responsibilities Of A Good Shepherd”. Because in biblical times it was an illustration people could easily identify with in their cultural context. “Middle Eastern cultures understood what shepherding was all about. It was about feeding the lambs and the sheep, bringing them to good pasture lands and water, grooming and clipping them, delivering new lambs, leading them and teaching them to stay together, going off after the wandering lost ones, and protecting the sheep in the field and in the fold. 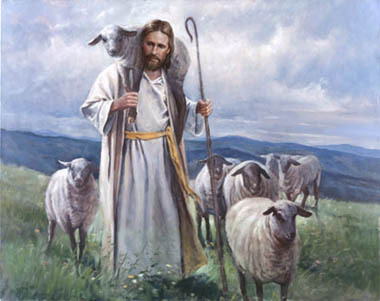 We are all under shepherds and Jesus Christ is the Good Shepherd. We need to emulate what the Good Shepherd does for the sheep…” In the lead up to the 07 December 2012 general elections, rumours of armed attacks/robberies were so rife that the New Kumase was threatened feared for their livelihoods. Historically, the last-time Kumase was mercilessly ransacked, dates back to 1874. This was long after the passing of Nana Osei Tutu in 1717 and Nana Opoku Ware l.
As Boahen puts it, this resulted in civil war and the migration of the Dwaben into Akyem Abuakwa for eight years and the consequent weakening of the empire. “When Kwaku Dua I succeeded Osei Yaw Akoto (1834-1867), he also turned out to be a great pacifist at a time when war was needed to win back the lost southern provinces.” J. K. Fynn  notes that the rising Ashanti Kingdom flourished under Nana Osei Tutu I, and during its ascendancy, save the Akyem nations who in an attempt to maintain autonomy and not crumble like the former superpower Denkyira and accordingly, fled across the River Pra to reinforce its military posts, assimilated the once powerful Denkyira into the growing empire in the early 18th century. But by 1742, Nana Opoku Ware I had fully eclipsed Akyemmansa into the Empire. Before or after 1717; Akyem was bedeviled with resistance and conflict, in revolting against Asante hegemony. But there came a time where due to its internal political rifts, some of its stools sided with Asante. In 1888 Nana Prempeh I acceded to the Golden Stool and the kingdom suffered further decline. By 01 January 1902, Asante was proclaimed a British crown colony alongside its northern satellite states which separately, constituted the Protectorate of the Northern Territories of the Gold Coast. Asante Confederacy Council was minted under British rule in the 1930s, and the Asantehene restored as a figurehead sovereign. Yes Asante kings such as Kusi Boadum- the immediate successor of Nana Opoku Ware l and Osei Kwame- the successor of Osei Kwadwo Okoawia, who were forced to abdicate, and not least the distooled Kofi Kaakari, are always remembered for the woes of Asante kingdom. Traditionally; it is believed that if a king/chief is enstooled or named after a particular stool name, certain traits or customs are imitated and followed. Yes- Otumfour’s developmental consciousness- His educational and health missionary walks are admired and loved both at home and abroad. He must be applauded. Yet the obvious questions remained unanswered: who shepherds the Asante streets and the tracks of Asanteman against the unsuspecting Fulani armed shepherds; rampaging thugs, sporadic fire outbreaks, the cold-blooded killings, the NHIS capitation murmurs, not forgetting the mounting environmental, ecological and sanitation helplessness enveloping Asanteman and the stalled gateway of Accra-Kumase? With these bad omens, one is tempted to puzzle whether the historical Sikagwa Kofi has deserted Asante. Fynn J. K.., “Asante and Akyem Relations 1700 — 1831”.